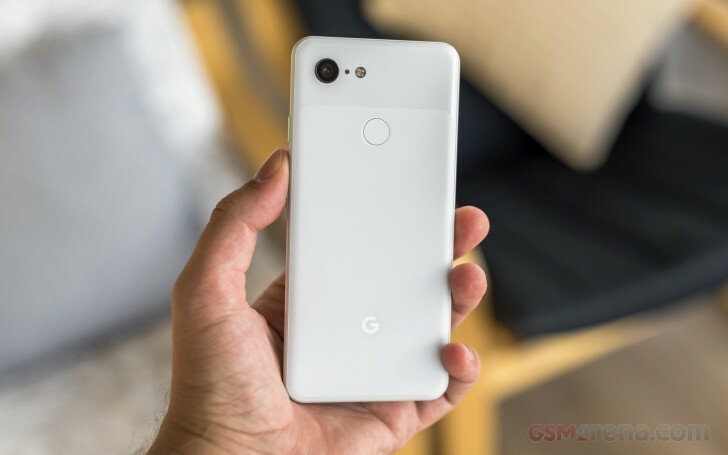 The bad RAM management issues in the Pixel 2, Pixel 2 XL, Pixel 3 and Pixel 3 XL should be fixed with this update, Google says. Additionally, the company has expanded the support for eSIMs to a bunch of new carriers: Sprint in the US, EE in the UK, Telekom and Vodafone in Germany, Airtel and Reliance Jio in India, as well as Truphone and Gigsky. The aforementioned German carriers will even sell Pixel 3s with eSIMs. All of the eSIM-related stuff above is either happening “soon” or “in the coming months”. 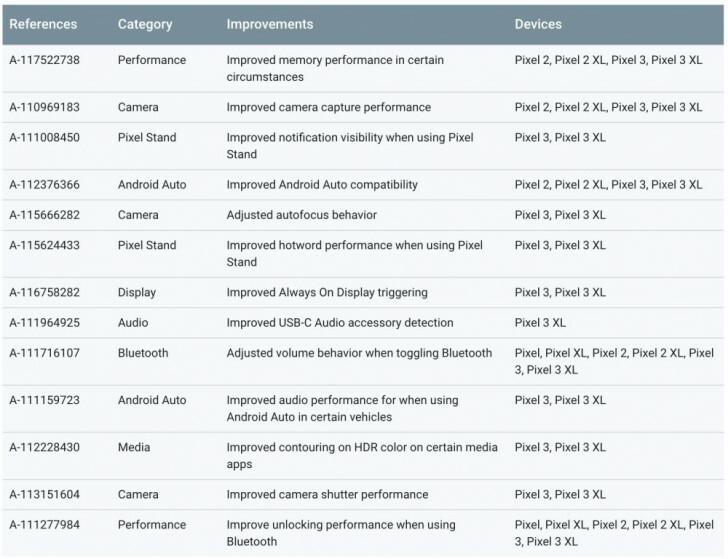 On the other hand, you should have other benefits from the new software right away: improved camera shutter performance and autofocus behavior for the Pixel 3 and 3 XL, as well as better contouring on HDR color in certain media apps. The full changelog of non-security related additions to this release is captured in the screenshot you can see above. Obviously once you install you’ll have the December 5, 2018 security patch level. Note that the updates for the original Pixel and Pixel XL seem to be delayed again, like last month. They should arrive in a few weeks.